Texas is a place where kids have ample room to unleash their creativity, energy, and imagination. From man-made theme parks to natural historical parks to historical sites to theaters, there is simply so much to do. Families can easily spend weeks exploring all that this great state has to offer without even scratching the surface of all there is to discover. 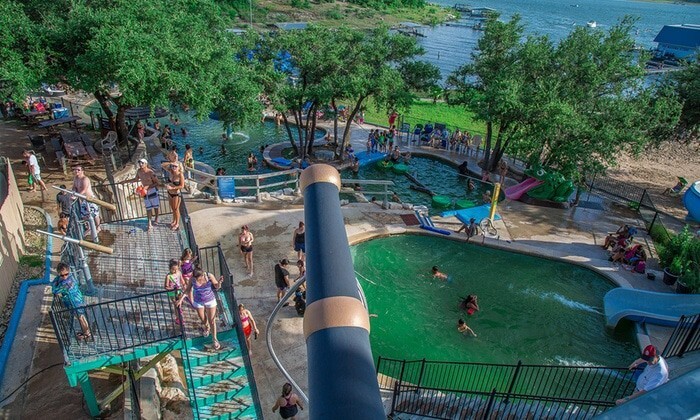 Pack your bags and prepare to have fun at these 40 things to do in Texas before your kids grow up. 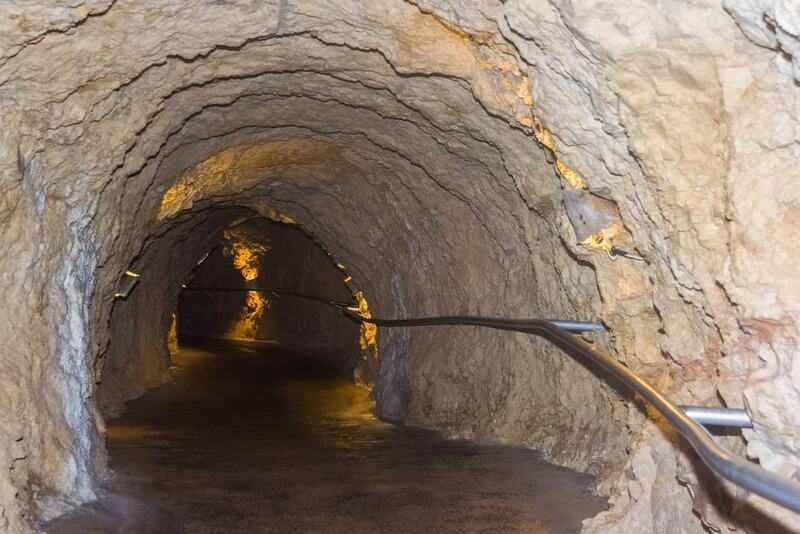 Why you’ve got to go: This network of passages and caves was formed over thousands of years. Here, families can spend time learning about nature and geology while going on thrilling adventures. Make memories exploring the caves and participating in the many other fun attractions inside the park. What to do: Embark on a tour of the caverns with a lantern, mine for fossils and gems, go spelunking, and discover hidden passages. There is also a zipline course, maze, and a place to witness thousands of bats fly from the cave out to search for their nightly feed. Get there when kids are: Ages 5 and up. Why you’ve got to go: Get your heart pounding at Six Flags Fiesta Texas, one of the best thrilling theme parks in the country. Spend the day screaming on rollercoasters, at the waterpark, and watching entertainment performances. What to do: Test the strength of your stomach one the thrill rides, collect autographs from the Looney Toons characters, grab a bite to eat at one of the many restaurants, shop for souvenirs, and go to the waterpark on a hot day. For younger kids, there are family rides where everyone can ride together and rides specifically crafted for toddlers. Get there when kids are: Ages 3 and up – there are height limits on some rides. Why you’ve got to go: This classic American boardwalk is the perfect place to spend an afternoon with the entire family. There are a variety of rides and restaurants set on the waterfront to explore. Visit during a holiday and discover a new way to celebrate – as the area usually has holiday themed festivals open to all ages. 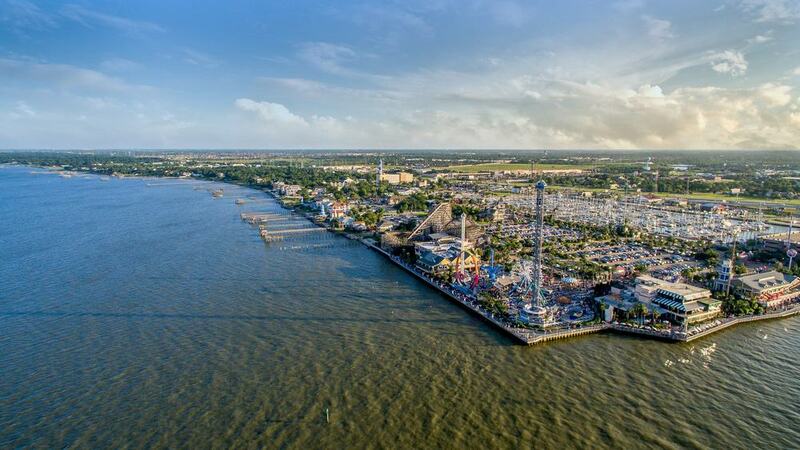 What to do: Ride the 65-foot Century Ferris Wheel, walk along the boardwalk, freefall 140-feet on the Drop Zone ride, send children around on the carousel, and brave the Bullet – a wooden coaster that goes over 51 miles per hour. Sample classic carnival-style fare. Get there when kids are: Up to 18 years old. Why you’ve got to go: The Space Center hosts NASA’s Lyndon B. Johnson Space Center and Mission Control for manned flights into space. The center takes pride in educating children and adults in ways that are both inspiring and entertaining. It’s a place that is sure to ignite any child’s imagination. What to do: Dress up in an astronaut suit, view real samples of moon rocks and other artifacts collected on previous space programs like Mercury, Gemini, and Apollo. There is also a space simulator, rocket display, film shows, and other space-related exhibits like the Destination Moon feature. Why you’ve got to go: You can’t go to Texas and not take advantage of the cowboy culture. At the Mayan Dude Ranch, families will love experiencing life in the wild west with rodeos and horseback rides. This dude ranch is over 340 acres and has trails that lead through valleys and along the Medina River. What to do: Go for a horseback ride along an untouched trail, learn to rope, watch a rodeo, feast on a Texas-sized homecooked meal, and talk to an authentic cowboy. 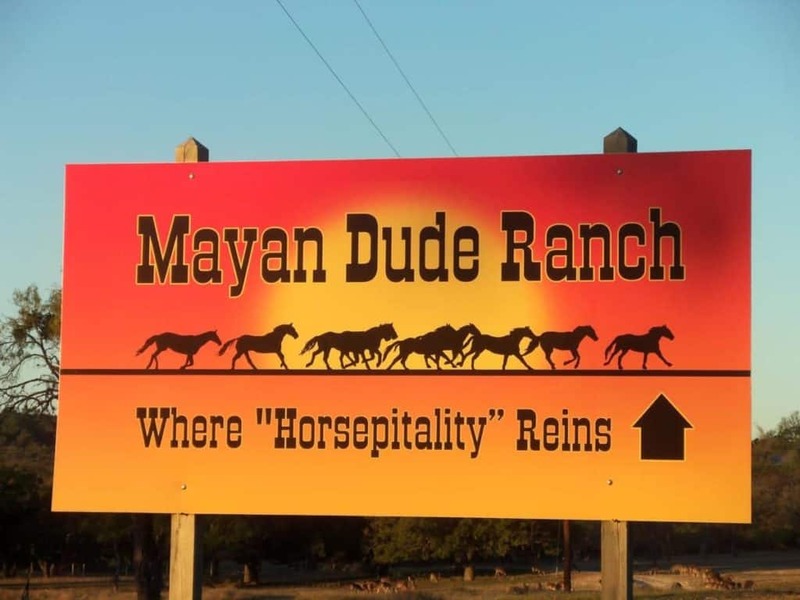 The Mayan Dude Ranch prioritizes safety, and keeps rides to a single-file walk. In the evenings, join in on a country line dance or hum along to the acoustic guitar. Why you’ve got to go: This theme park has fun rides for children and parents of all ages. Here, you can spend the day screaming on rollercoasters, go-karting, and making memories as you face your fears. What to do: Older children (or fearless younger ones) will love rides like the Grizzly swinging gondola, the Dare Devil Drop freefall tower, the Galaxi rollercoaster, and more. There are also rides targeted for younger children and families looking to ride together. During warm weather, you’ll also love feeling some leftover spray on the water rides. There are multiple restaurants and souvenir shops to recharge at as well. Get there when kids are: Ages 3 and up. Why you’ve got to go: You can’t visit Texas without spending some time on a ranch – away from any semblance of urban living. Families will easy adapt to the Western way of slow living by enjoying the horses, the meals, and time together on the range. It will be a cultural activity your children will never forget. 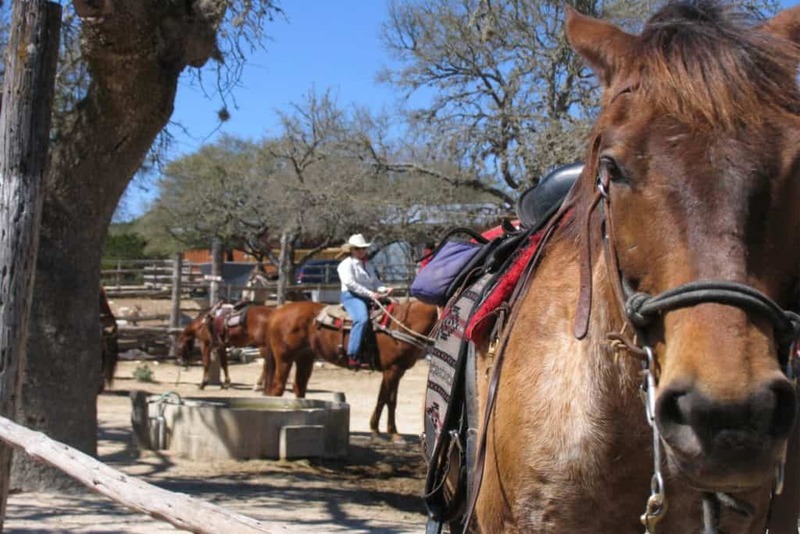 What to do: Go on a horseback ride along peaceful trails, swim in the ranch’s pool, roast s’mores over the campfire, witness the longhorns, hike through Texas Hill Country, and try your hand at trick roping. Families often visit every year just for the experience and hospitality. Why you’ve got to go: This amusement park has so many classic rides and activities for families with children of all ages. Have wholesome family fun by enjoying the large park decked out with a swimming pool, train ride, mini-golf course, rides, and paddle bats. What to do: There is plenty of shade to have a picnic under a tree before swimming in the pool, paddling a canoe over Sandy Lake, play air hockey and arcade games, and test each other with mini golf. 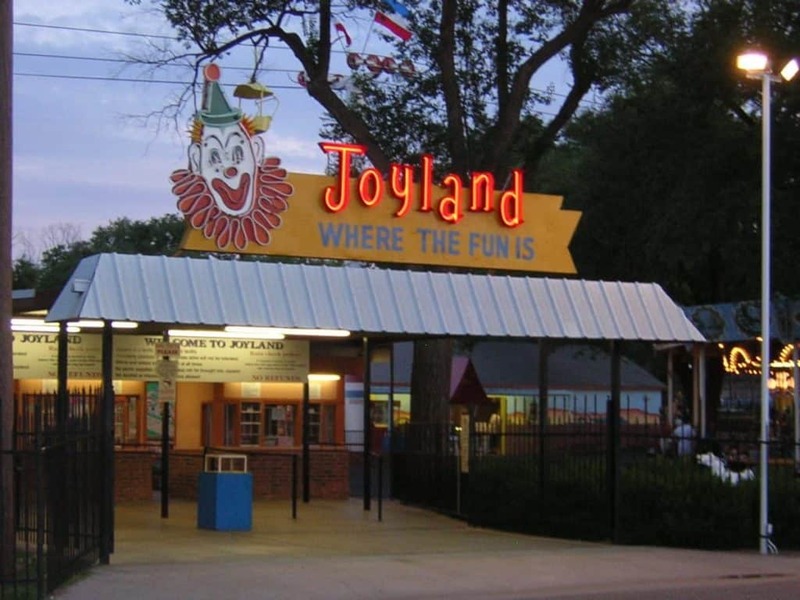 The amusement park also serves kid-friendly food like pizza, hot dogs, and popcorn. Get there when kids are: Up to 16 years old. Why you’ve got to go: This beautiful lake has an onsite water park called Beachside Billy’s that has rides and activities for the whole family. For older kids and adults to have some space, there is an adult-only pool as well as multiple children’s pools. 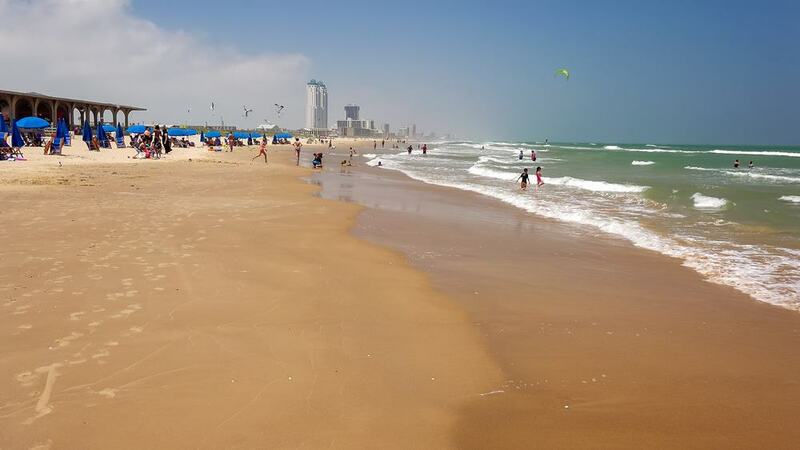 It’s the perfect place to visit on a sunny day when you want some family and sand time. What to do: Send younger kids to splash around on the Pirate Ship play area, challenge each other on the Gator’s Crossing obstacle course, or simply relax in the site’s lazy river. There is an upscale yet laid-back restaurant to fuel up at that serves burgers, funnel cakes, and pizza – or you can simply throw down a blanket and B.Y.O. food. Get there when kids are: Up to 14 years old. 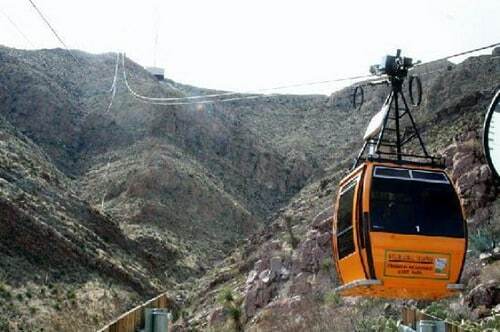 Why you’ve got to go: The Wyler Aerial Tramway at Franklin Mountains State Park takes you to see prime sites of interesting rock formations and gardens of indigenous cacti. It’s a haven for all types of wildlife including reptiles, birds, and bugs. Families will love the adventurous aspect of it while learning about nature. What to do: Ride the gondolas (crafted in Switzerland) along a steel cable that spans over 2,500 feet long. This four-minute ride will take you up to 240 feet into the air over a Texan canyon. From the top, at over 5,000 feet above sea level, you can see for thousands of miles and admire just how great and vast the Texan plains are. Take turns getting a close look at what exists below out of the telescope. Why you’ve got to go: This butterfly sanctuary is home to hundreds of wild butterflies, who are attracted to the plethora of nectar-rich plants that the sanctuary grows. Families will love admiring the many colors and shapes that each species of butterfly has. When the temperature is above 65 F, you can expect nearly every kind to be out and flying around. What to do: Have a picnic surrounded by butterflies and bring a camera to capture their many colors. Peer through binoculars for an up-close look, and see if there are any cocoons and chrysalis out for inspection. There are over 100 acres of land in the sanctuary, so you can easily spend the entire day exploring. Why you’ve got to go: This museum devoted to the life and assassination of John F. Kennedy will be an educational experience for any child who is interested in history. Being such a pivotal figure in American history, this museum will teach your children about what life was like during Kennedy’s presidency – and the aftermath that followed his death. 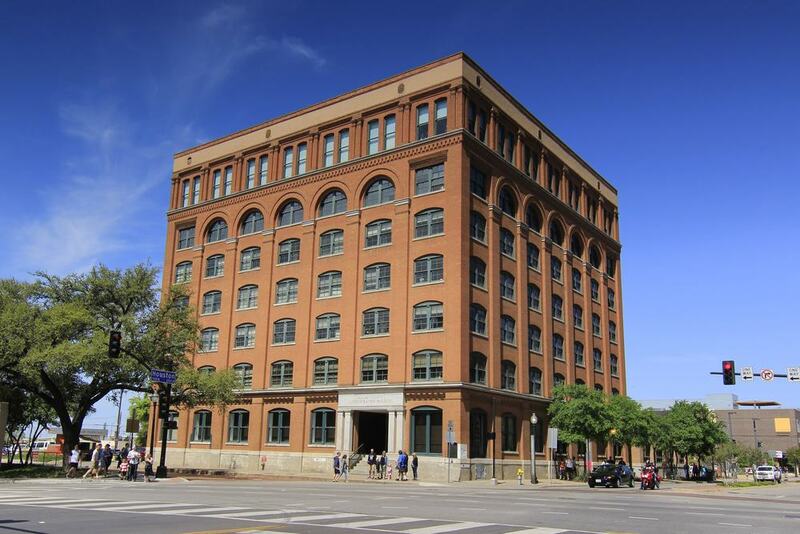 What to do: Explore the exhibits at the museum that include news footage, an audio tour, historic images, and more of the site where Kennedy was assassinated. Children can learn about the social-political time of the 1960s and Kennedy’s impact through multi-media displays. Get there when kids are: Ages 10 and up. 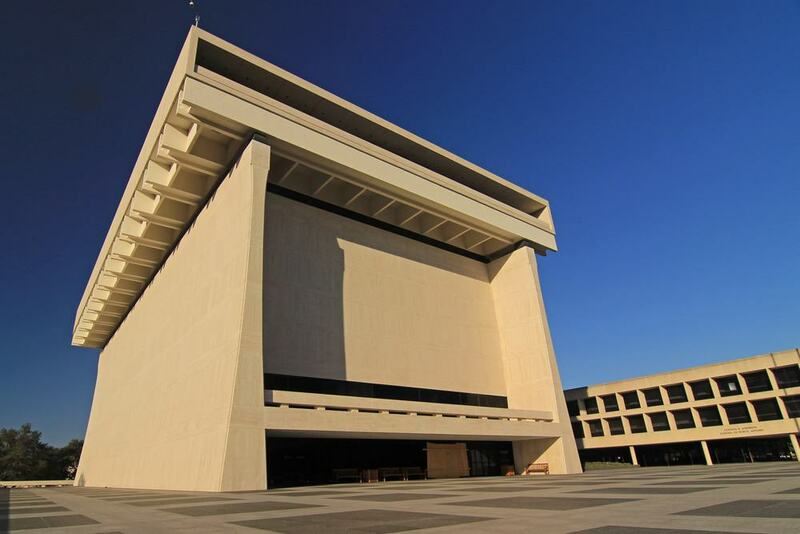 Why you’ve got to go: One of thirteen presidential libraries in the country, the Lyndon B. Johnson Library and Museum showcases the hectic time in American history that Johnson was president for. There are thousands of books to peruse and learn from, as well as historical relics from the Johnson presidency. What to do: Watch the 11-minute-long film on President Johnson, walk through a near replica of the Oval Office, and hear the voice of the former president through a replica old-school telephone. There is an audio tour suitable for both children and adults and a library where kids can spend the entire day with their noses behind a book for their choice. Get there when kids are: Ages 8 and up. Why you’ve got to go: This museum is dedicated to children and completely designed to have children as their target audience. There are tens of activities, displays, and events that take place that they are sure to love. The museum is also a big supporter of the community – hosting free family nights and distributing free vaccinations to children. What to do: Browse through hands-on exhibits like the Newton Know-How that teaches children about force, friction, and physics. Learn about the Gullah people and their culture, invent new things at the Chevron-Houston Texans Maker Annex, and check out the art display inspired by the wild West. Tech savvy kids will love the exhibit called Cyberchase, where they have to use math and critical thinking to solve puzzles. Why you’ve got to go: Many children dream of flying their own planes or going into space – why not inspire them and teach them about the aviation and space industry at a museum where the sky is the limit? 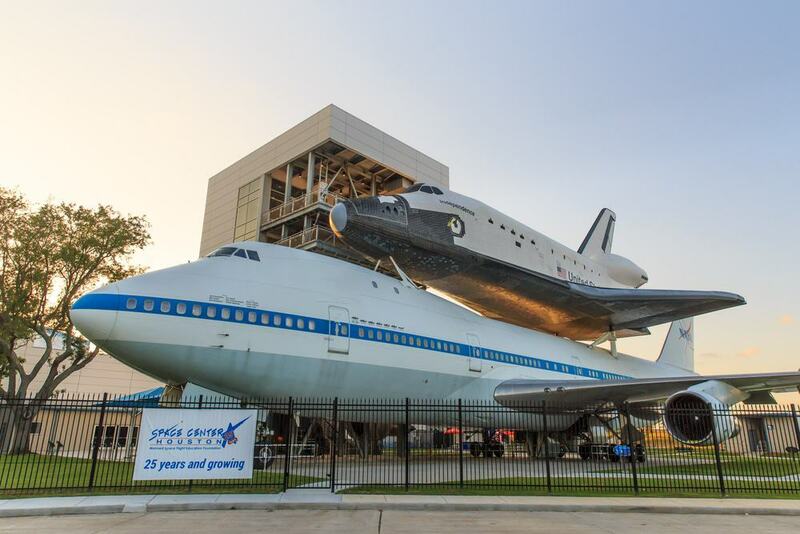 This museum has many exhibits that are sure to interest any kid who loves the art of flight. 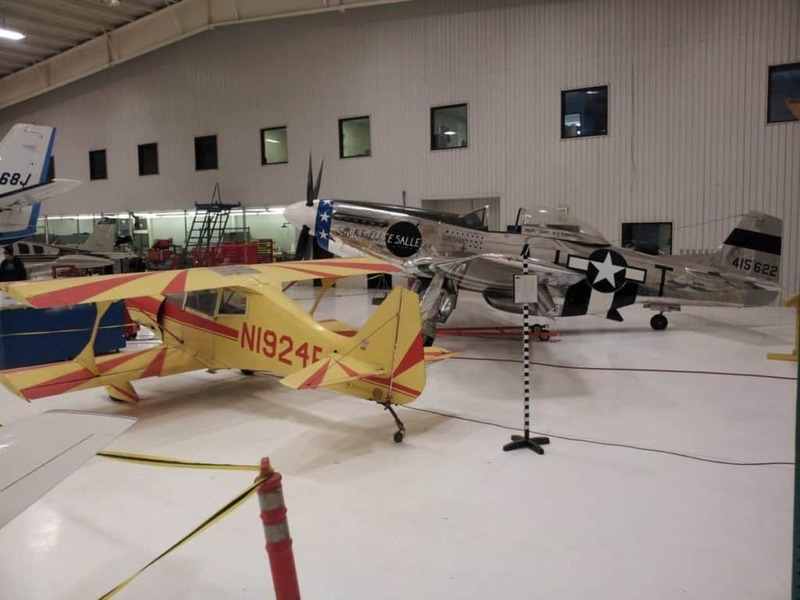 What to do: Sit inside old aircrafts, learn about the latest space and aviation technology developments, and explore the mechanics of old planes. There are multiple passionate experts at the museum who can answer any question that your child has about planes and how they fly. Why you’ve got to go: There is something about spending time in nature together that binds families together. Enjoy walking through manicured gardens, admiring the sculpture exhibits, and playing at kid-friendly park areas. Kids can go on a guided walk and help pollinate plants in the arboretum. What to do: Take your child to go on an early morning walking tour or join in on the park’s “little adventure activities”. There are often science labs happening as well as pollination sessions to help new plants flourish. The Rory Meyers Children’s Adventure Garden is designed specifically for kids in mind to help them learn about nature while developing their sense of environmental stewardship. Why you’ve got to go: There is an exhibit for every interest at the Houston Museum of Natural Science. There’s a giant screen theater, planetarium, butterfly center, and observatory. Many exhibits have hands-on activities where children can learn in many ways. What to do: There is a frequent rotation of interesting displays that take place at the museum. Browse through the latest on anthropology, history, and anatomy. Watch an educational movie at the giant screen theater, look at the stars through a telescope, and admire the technicolored insects calling the butterfly center home. Why you’ve got to go: This free science center is a wonderful place for children to learn about nature in a hands-on way. The park is amidst a picnic area and flowing brook where kids can feel free to dig and explore in an unstructured way. It makes for a great day out, especially once the weather warms up. What to do: Partake in the park’s nature challenge by going on a scavenger hunt for different butterfly species, admire scales and feathers at the reptile and bird exhibits, have a picnic, help animals at the rescue zoo, and try to find the queen inside of a live bee hive. Why you’ve got to go: You can’t enjoy the true nature of Texas without spending time among livestock on an open ranch. 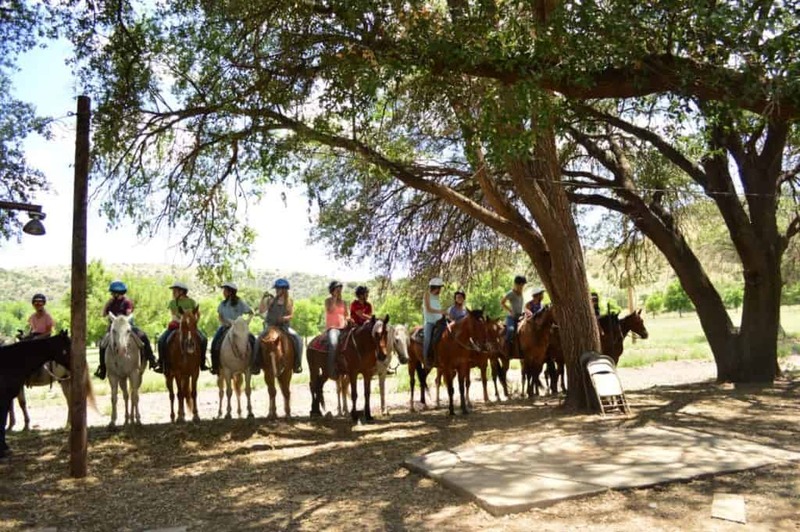 Prude Ranch is a family-friendly property with horseback rides and multiple accommodation options. What to do: A typical day at Prude Ranch involves waking up and eating a massive breakfast of potatoes, meat, oatmeal, and coffee and working off said meal by going on a challenge course. There is an obstacle to complete and rock wall to climb before going on a horseback ride. At the end of the day, you can relax and enjoy the silence on an old style range. Why you’ve got to go: Celebrate America’s greatest cowgirls at the only museum in the world honoring their interesting past. Learn about the most notorious and famous cowgirls and participate in hands-on events and activities that take place throughout the year. Your children will leave feeling inspired to be more self-reliant. What to do: Look at over 4,000 artifacts that are odes to the American west and learn about over 750 unique cowgirls. Watch Western films at the two movie theaters on-site, and have children learn essential cowgirl skills like roping. 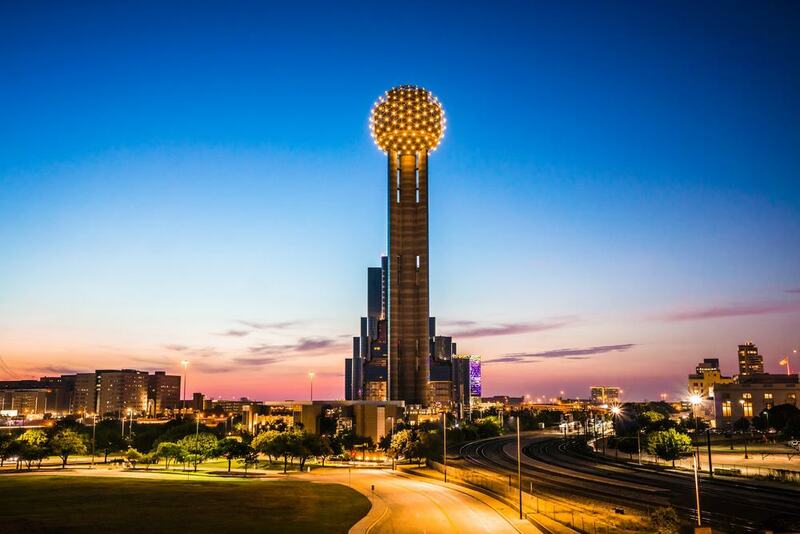 Why you’ve got to go: Go sky high at Reunion Tower, an observation deck 470 feet high that shows panoramic views of all of Dallas. Children will love the thrill they get from looking out of the windows and can learn about local geography. What to do: Grab a map and try to find Dallas icons using your eyes and a pair of binoculars. Dine at Cloud Nine Café, walk around the Geo-Deck, and uncover landmarks using touchscreen displays. Why you’ve got to go: Children with a penchant for the Mesozoic Era and those that roamed the earth during this time. There are hundreds of life-sized dinosaurs to walk through where kids can let their imagination run as wild as the tyrannosaurs rex did back in the days. What to do: Walk through the land of dinosaurs, participate in the interactive exhibits, slide down the dinosaur-themed slides and play on the playground, and have a picnic. If you are traveling with a dog, they are welcome at Dinosaur World as well. Make sure to bond with a Jurassic Park marathon before you go. Why you’ve got to go: Get out in nature at the River Legacy Living Science Center, a 12,000-square-foot park designed with sustainability in mind. The structure of the science center was initially inspired by a child’s creation of shelter out of leaves and sticks, so its whimsical nature appeals to children who come to enjoy it. What to do: Take part in the interactive environmental exhibit, admire the animals inside the aquariums and terrariums, walk along the nature trails, skip rocks on the pond, and learn about native species at the education programs. Nearly every manmade structure here is made with sustainability in mind. Why you’ve got to go: With over twelve miles of trails, nature walks, education programs, and stunning scenery, this wildlife refuge is an incredible place for visitors who love to spend time in the great outdoors. Children will gain a hands-on experience that teaches them about conservation and ecological preservation. What to do: Join in on one of the nature walks, learn about winged residents with the eBird Trail Tracker that highlights frequent fliers, watch a 30-minute documentary on the great cats that live among of the chaparral. You can board and ride on the nature tram, photograph unique bird species only found in this region of Texas, and much more. 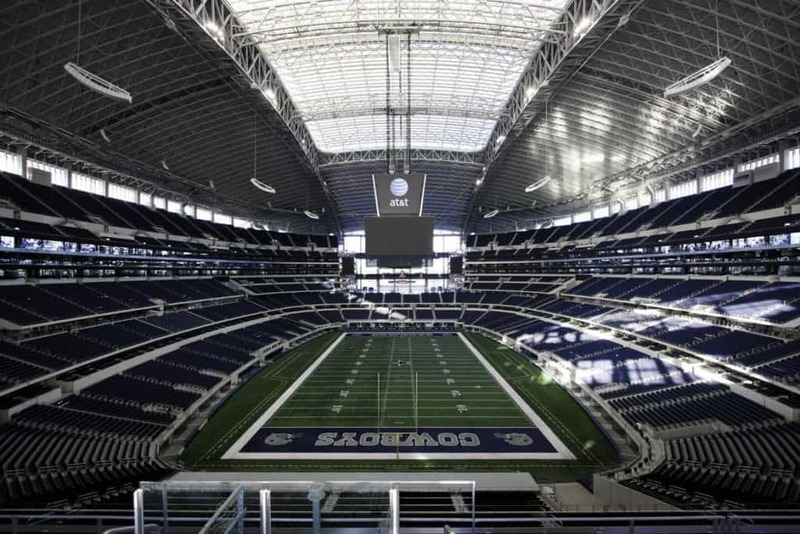 Why you’ve got to go: This iconic stadium home to the Dallas Cowboy NFL team and a main venue for concerts is a fun place to get a classic American cultural experience with your children. It’s an impressive stadium by all accounts with restaurants, snack stands, and galleries. 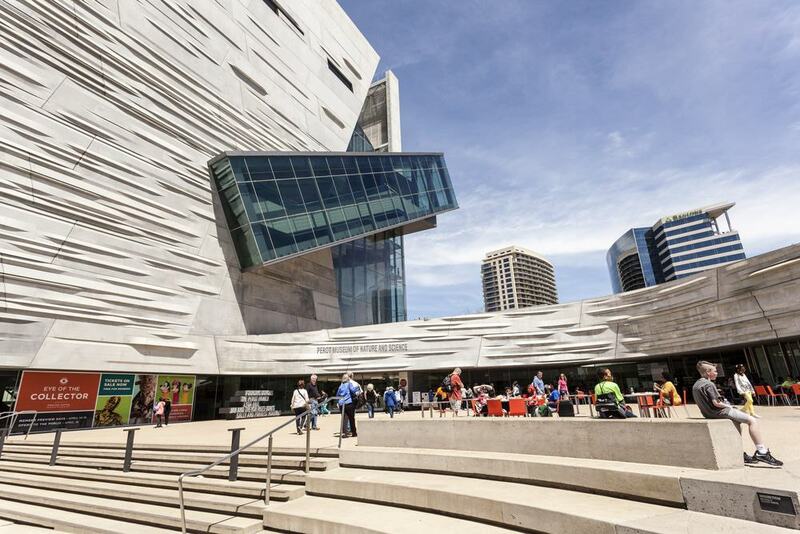 What to do: Cheer for the Dallas Cowboys and nosh on stadium fare of hot dogs and popcorn at a NFL game, get star-struck at a concert, or take a tour of the stadium – there are usually art exhibits on site. The stadium also hosts camps targeted for high schoolers interested in cheerleading and football each year. Why you’ve got to go: The River Walk is one of the most exciting parts of Texas with multiple shops, restaurants, and activities that attracts millions of visitors every year. Depending on when you visit, there is also likely to be a kid-friendly event taking place as well. What to do: Go for a cruise past the River Walk’s colorful sites on a river taxi, admire local artwork at the galleries, dine on delicious Texan fare, and take pictures with the elaborately-costumed characters working at many of the themed restaurants on the River Walk. Cultural buffs will also love the many missions and museums lining the river. Why you’ve got to go: This mission is where the legendary battle in 1836 took place and houses over 300 years of history. It’s one of the country’s most important points of interests when it comes to U.S. history and culture. 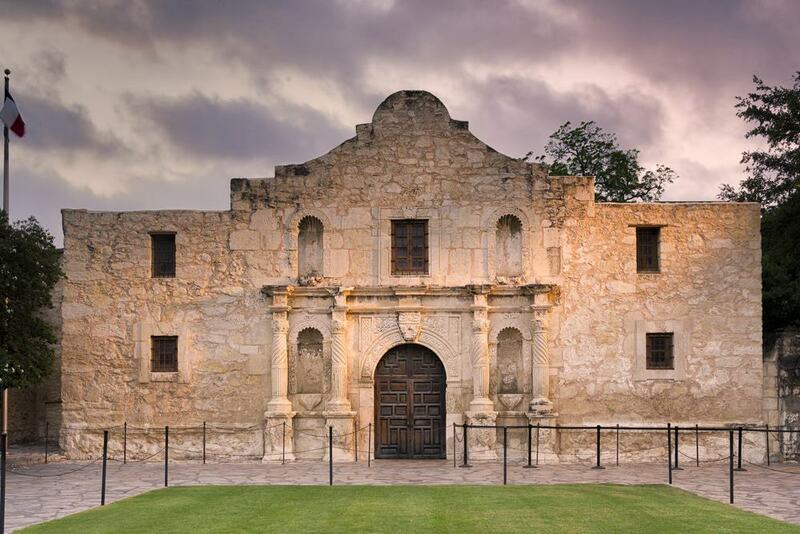 What to do: Take a guided or audio tour of this Texan landmark, listen in on a history talk by historians, and partake in a living history encampment where staff give firing demonstrations, fire starting, textile and leader working, and more. There is also an educational film depicting the interesting history taking place throughout the day, and a gift shop to pick up souvenirs. Why you’ve got to go: This wildlife refuge is renowned for its giraffe breeding program and is home to many species of endangered animals. 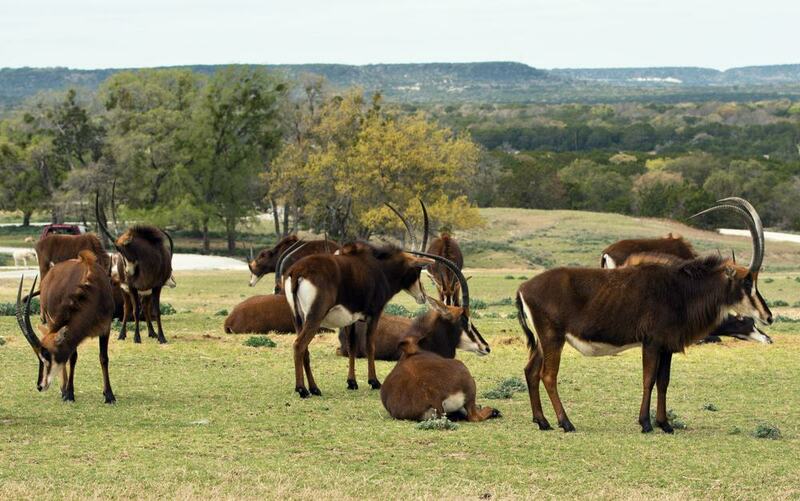 There are over 1,000 animals living at this 1,800-acre park. Children can learn about animals and how to preserve the environment for the future. What to do: Meander through the park and admire your favorite animals, photograph the variety of gazelles, giraffes, addaxes, tortoises, bison, deer, cats, cheetahs, zebras, and many more. Children can participate in workshops and join camps where they will work hands-on with the refuge’s most docile animals. Why you’ve got to go: Children are naturally creative – why not inspire them with art exhibits and teach them about some of the world’s best artists? 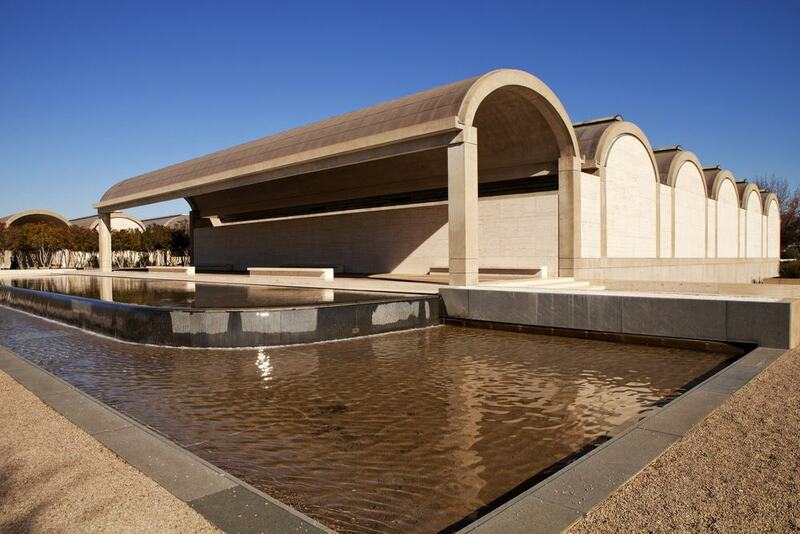 The Kimbell Art Museum is one of the state’s most interesting museums with child-specific programs and exhibits. What to do: Participate in a kid program where children can paint and create in a museum-guided workshop, discover favorite artworks in the exhibits, and take a tour guided by a museum docent. There are also teen-specific programs with teen nights, hangout sessions, and art workshops. Teens can also feature their art in an exhibit open to the public. 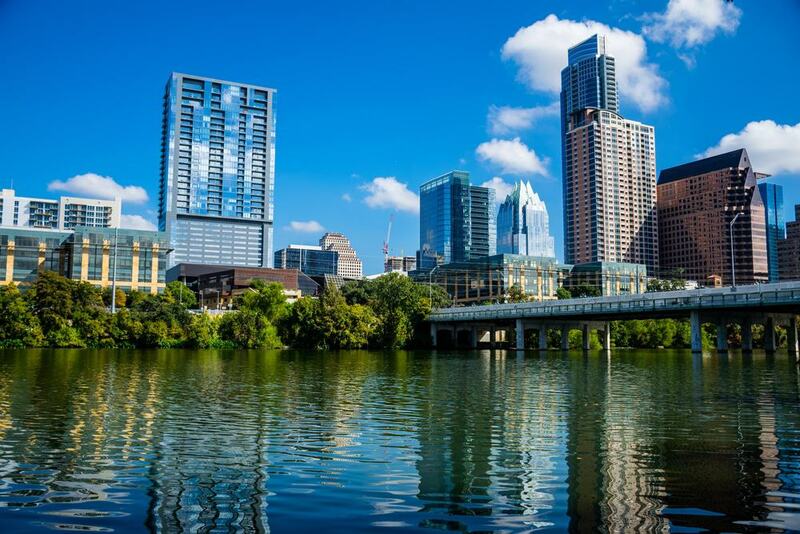 Why you’ve got to go: Get some sunshine by going for a walk or bike ride around Lady Bird Lake, one of the most beautiful scenes in Austin. 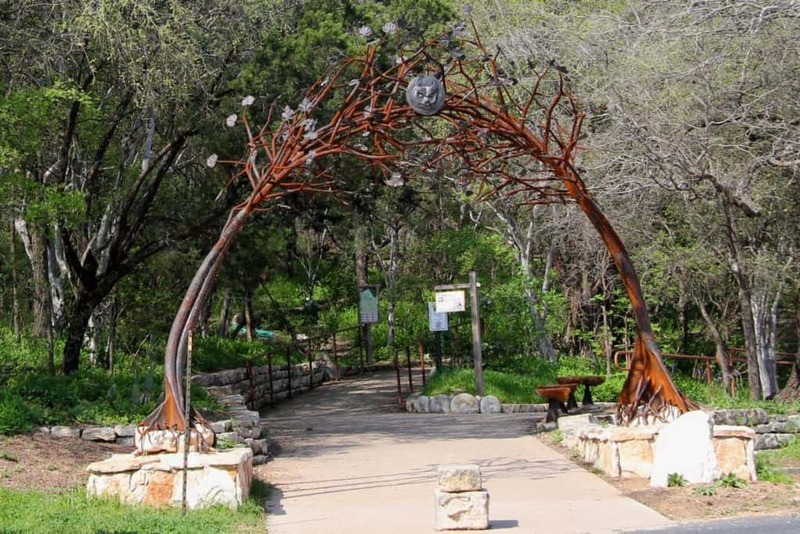 There is the Lady Bird Hike-and-Bike Trail that weaves through bushland within the Austin city limits. The best views are at Long Center and the pedestrian bridge – especially at sunrise. Then, rent a rowboat and paddle across the lake itself. What to do: Walk or bike ride along the Lady Bird Hike-and-Bike Trail, photograph wildlife, rent paddleboards and kayaks and row, pack a picnic, and enjoy your time together. 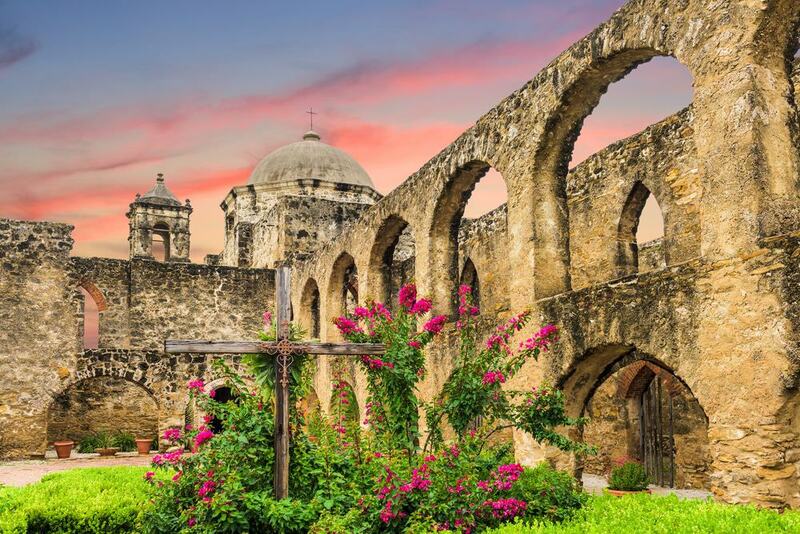 Why you’ve got to go: There are four missions – Mission Concepcion, Mission San Jose, Mission San Juan, and Mission Espada – within the boundaries of this historical park. Children will learn so much about history within the park. It’s an interesting and important part of Texan history that dates back to when the land was controlled by Native Americans. What to do: Kids can become a Junior Ranger by completing an activity book at the San Antonio Mission and can stay active by walking and bike riding between the missions. Children can also collect stamps given at each mission that depicts the silhouette of that specific mission. Why you’ve got to go: This stunning garden is the oldest botanic garden in the state with thousands of blooms to admire with all senses. 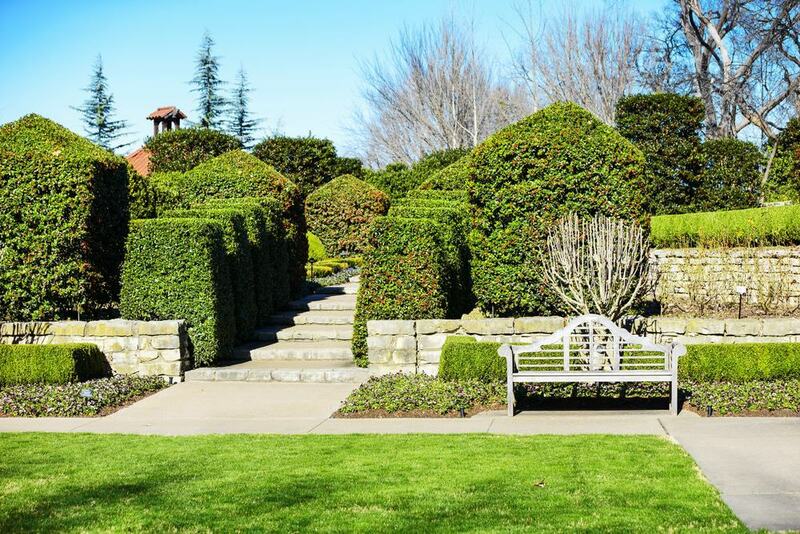 On this 110-acre lot, there are 22 specialized gardens – many with plants unique to the area. Access to the main garden is free! There is a restaurant on site and a conservatory to admire. What to do: Children can partake in the Little Sprouts program at the garden, where there are often workshops that are hands-on and teach children how to do garden tasks like pick vegetables and care for plants. 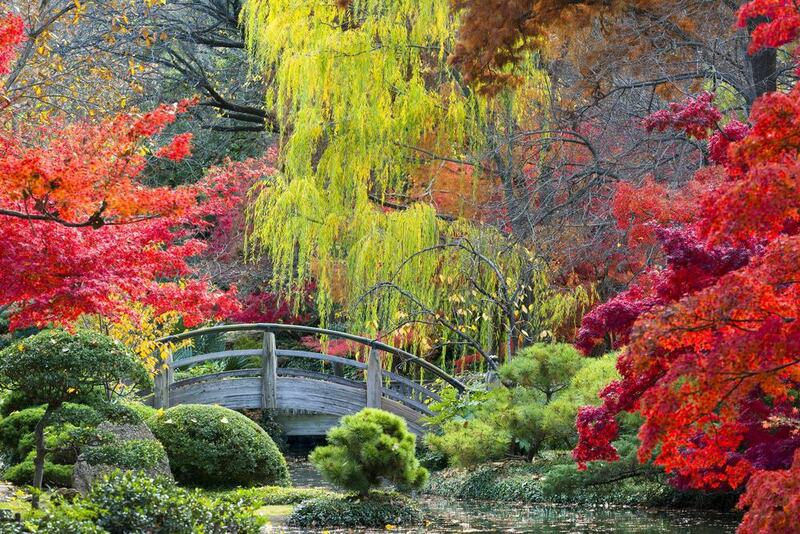 They will also love strolling through the gardens, admiring all the new sights and smells. There are also concerts taking place within the garden throughout the year. Why you’ve got to go: Did you know South Padre Island is a haven and nesting ground for sea turtles? At Sea Turtle Inc., the conservation and sea turtle release conservatory, children can learn about sea turtles and marine life. What to do: Create some sea turtle themed arts and crafts, participate in releasing newly hatched sea turtles, learn all about turtles from a local guide, and go on a sea-themed scavenger hunt. The programs and activities put on by Sea Turtle, Inc. are each formed with kids in mind. 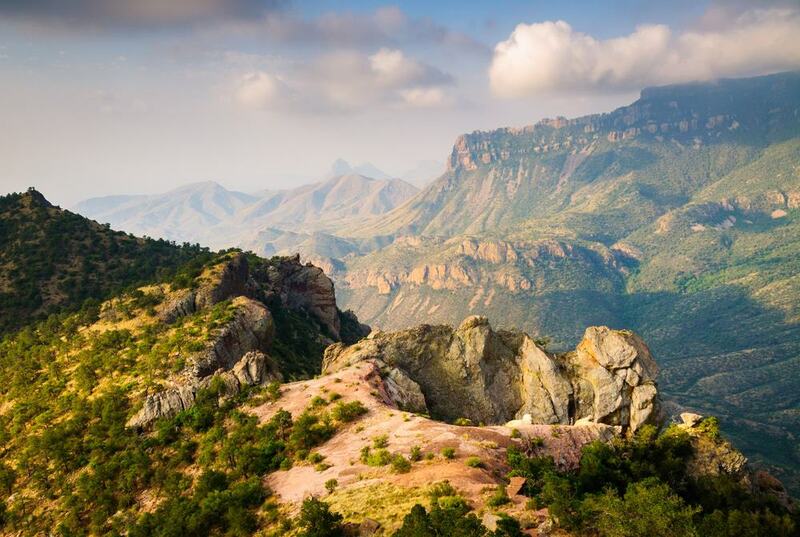 Why you’ve got to go: This national park has everything Texan wilderness is known for – expansive placid rivers, hiking trails, limestone cliffs, and backcountry mountains. Families will love spending a few days exploring the many nooks of the Big Bend National Park from the comforts of their campsite. What to do: Go for a bike ride, hike, or horseback ride through the trails, hop aboard a raft or kayak and explore the canyons, or simply go for a good old-fashioned road trip through the park. Children who love to spend time outdoors will feel right at home here. Why you’ve got to go: Prepare to be dazzled with live performances at the Majestic Theatre. 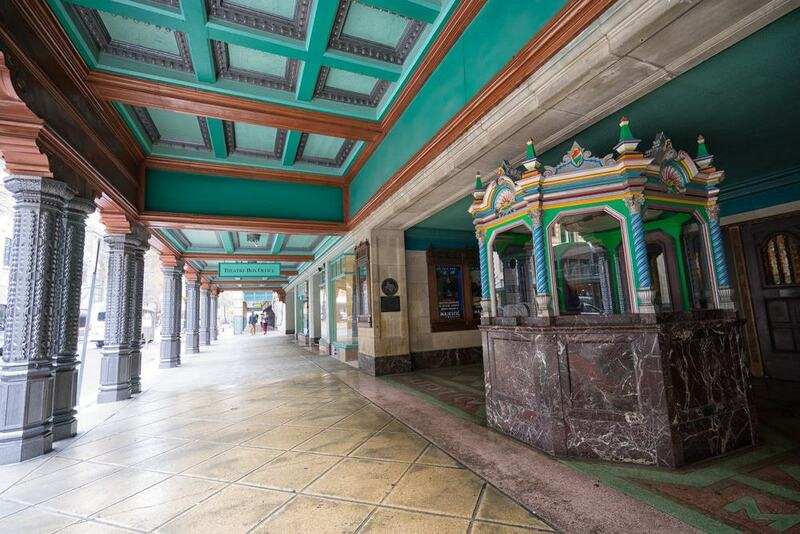 In San Antonio, this theater has a Mediterranean style and has been delighting those who come to be entertained for the past 90 years. The Broadway in San Antonio series takes place here, along with other local plays. What to do: Spend a night watching one of the theater’s live performances. There are a variety of shows that take place all year long, with many of them specifically created for children and teenagers. Get there when kids are: Ages 6 and up for general admission – there are special children’s performances for those under age 6. Why you’ve got to go: Children will love seeing rare animals firsthand and learning about how to protect their environments for the future. There are many workshops and programs targeted for children of all ages. 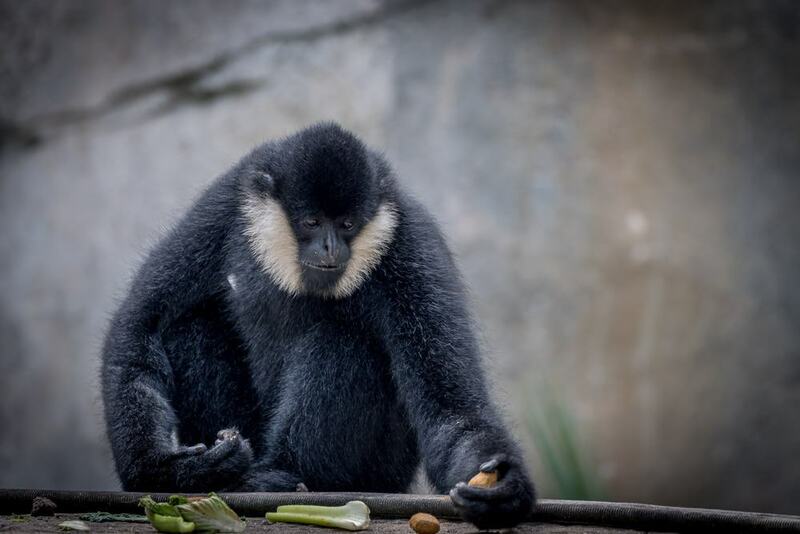 There are over 500 animal species and is the only zoo in the nation to house all four Great Ape species. They are world-famous for their successful flamingo breeding program. 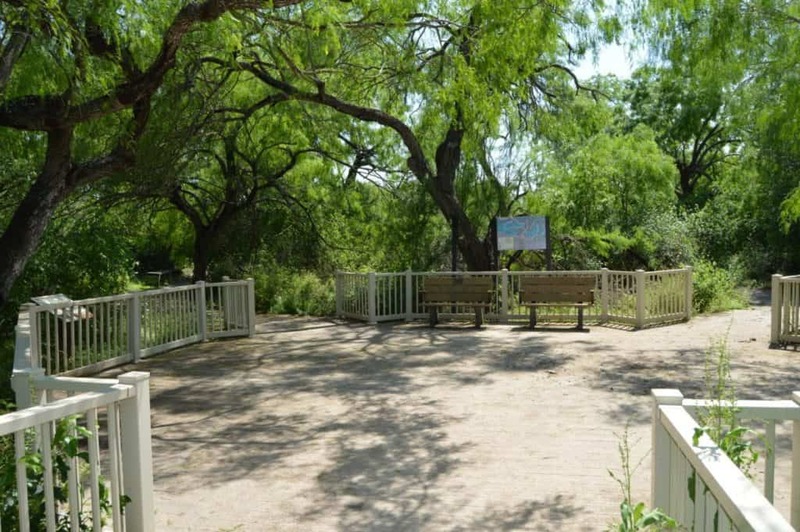 What to do: Walk around the park and learn about the wildlife housed here, participate in an educational encounter at Outdoor Learning Theater, ride the Yellow Rose Express Train, and take a ride on the carousel. You can easily spend the whole day looking at animals without seeing them all. 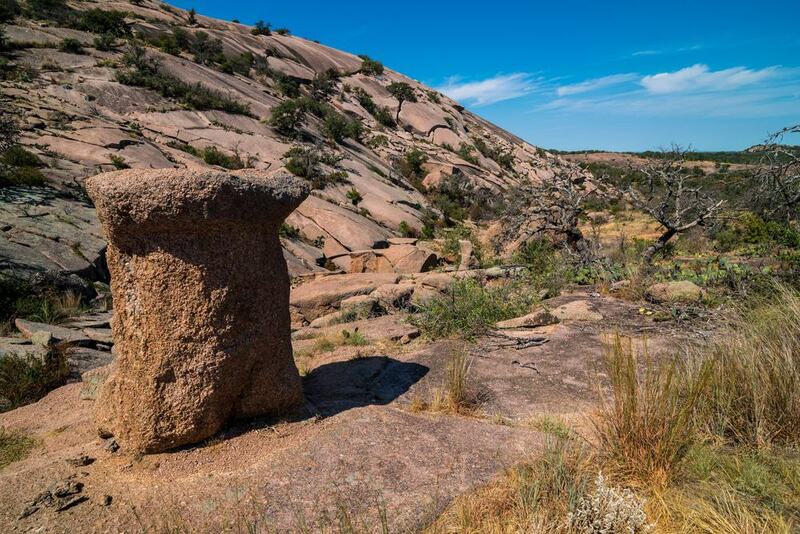 Why you’ve got to go: This pink dome offers prime view of Central Texas and has been an important point of interest for thousands of years. It’s often a mecca for adventure athletes who love to hike, climb, and explore some of the state’s most underrated areas. What to do: The sky’s the limit when it comes to all the things you can do in this area. Families can camp, hike, rock climb, go geocaching, stargazing, picnicking, birdwatching, and more. There is a Junior Ranger program where children can learn about conserving the area and the nuances that exist solely in this region. Why you’ve got to go: This museum has many exhibits created with kids’ interests in mind. 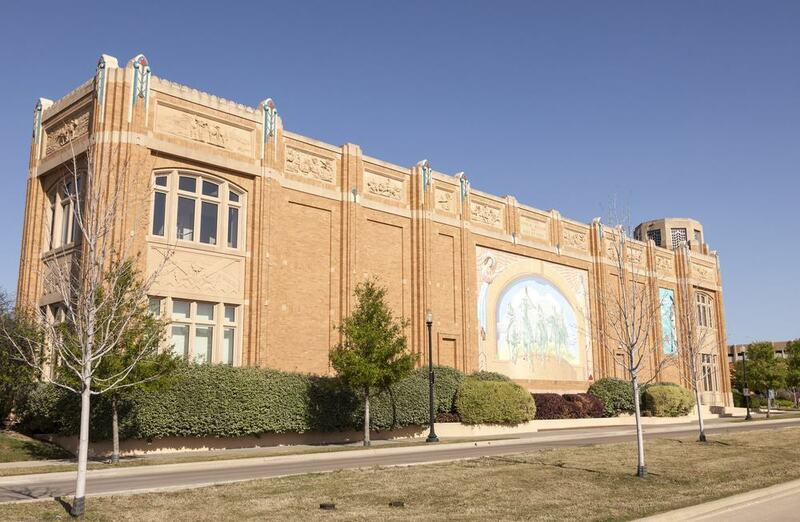 There are 11 permanent exhibit halls like Moody Family Children’s Museum, the Lamar Hunt Family Sports Hall, Discovering Life Hall, Being Human Hall, Expanding Universe Hall, and many more. There is also a constant rotation of new exhibits coming through – ensuring that no two visits are ever the same. What to do: Watch a live science demonstration, learn about natural history and science, and participate in hands-on workshops. 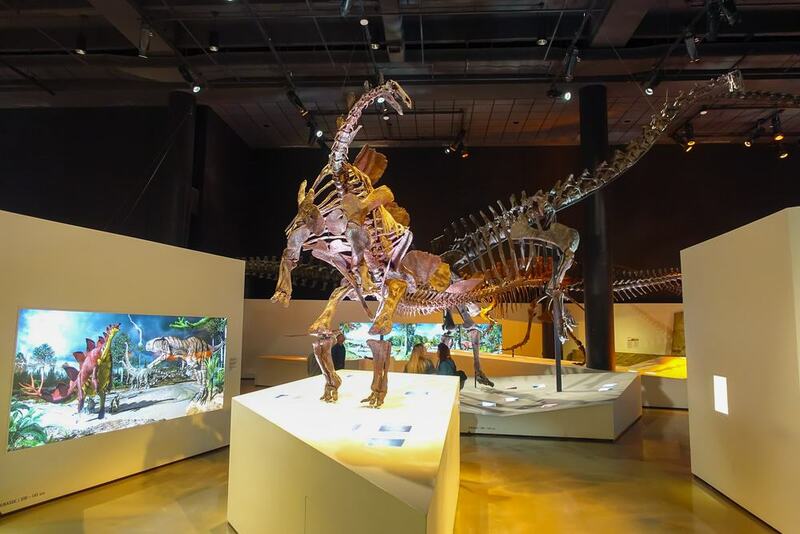 Kids will love looking at dinosaur fossils in the T. Boone Pickens Life Then and Now Hall and mining for gems in the Lyda Hill Gems and Minerals Hall. Why you’ve got to go: This sunshine-and-sea paradise is the perfect place for active kids who want to learn how to surf, swim, go jet skiing, and participate in wildlife conservation programs. The island is an impressive 70-miles long and has dunes, prairies, and coastal waters filled with all types of life. There are nearly 400 bird species that call the island home and it is one of the only places where the Kemp’s Ridley Sea Turtle nests. What to do: Beachcomb and make crafts out of shells from the Padre Island shoreline, go for a swim, snorkel, or boat ride, learn about sea turtles and other wildlife, and walk along the coast in search of an untouched enclave. Kids can easily spend a few days building sandcastles and exploring. Why you’ve got to go: What child doesn’t like spending time at a waterpark? At the Schlitterbahn Waterpark in Corpus Christi, kids can scream and splash to their heart’s content as they slide down water slides, lounge on the lazy river, race inner tubes down slides, and hang out under waterfalls. What to do: Choose a ride – any ride – and go on it. Thrill seekers will love the Sky Blaster enclosed slide, the Speed Blaster, and the White Water Express Rides. Those who want a bit of fun with a little less thrill will love gliding along the Torrent River, Cliffhanger, and taking a turn on the Boogie Bahn. Of course, there are lazy rivers and sectioned for those who want to simply kick back and relax as well. Get there when kids are: Able to swim.